Bob serviced the bike and rode it for awhile but after seeing Steve's work he got some ideas he had the bike shipped to Speedwerks for a makeover. My name is Bob Kline. I have arranged for my bike to be shipped there for both mechanical and cosmetic renovation. I’ll keep this brief. 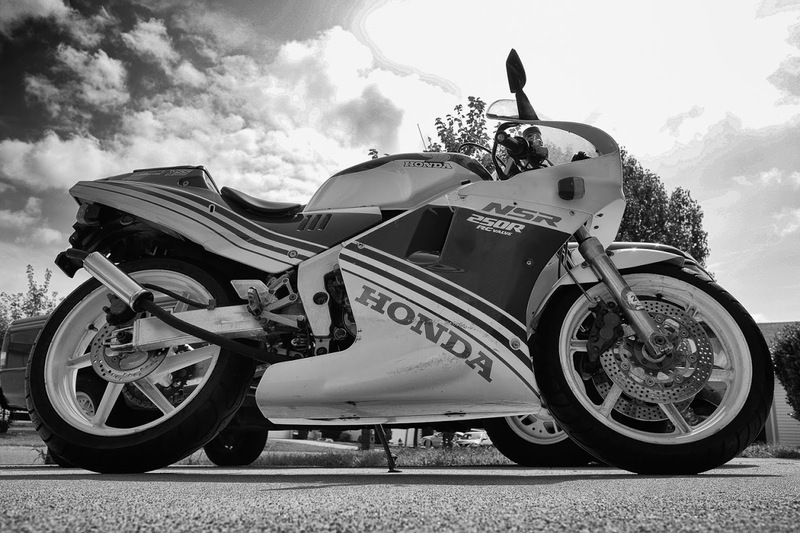 My Son was in Japan for 4 years and brought back a 88’ NSR250. I thought my bike days were done and sold all of them a year ago then my Son gave me the NSR. As far as things I have done to the bike so far, new battery, new air filter (first purchase from Tyga), flushed both brake systems with correct fluid, new rear shock, replaced the gearbox oil and gone through the carbs. I wanted to do a Rothman’s paint scheme on the bike as well as the Tyga SS chambers and kc shorty silencers. Also if possible on both sides of the tail section I would like to have a number 11 painted on the bike in a sort of old school dirt car type font. That was my Dad’s number when he races sprint cars so I thought it would be a cool addition. I have gone through all of the restorations on your photo album and your work is amazing! " We took it apart cleaned and detailed everything. TYGA chambers with kevlar cans. Derestricted and dyno tuned here @speedwerks. TYGA bodywork that we painted here in Rothmans livery. Forks resprung and rebuilt with the lower legs powder coated silver. new pads and final drive. And there you have it: a very clean MC18 brought up to date with modern GP-T TYGA Bodywork see below for the TYGA-Performance products used on this project.